There has been a rebound of many cryptocurrencies over the past few days but this will only compound the pain felt by those who stored their digital coin investments with one Canadian exchange. Among them, is a Vancouver-based software developer who says he has lost his $560,000 life savings after making what he now says was a costly mistake. The story of QuadrigaCX continues to take many twists and turns following the original story reported by Wealth Professional Canada last week. Following founder Gerry Cotten’s sudden death, the Toronto-based exchange has been unable to access the estimated $180 million in crypto holdings held by investors and now regulators as well as the courts are taking an interest. Among those 115,000 investors now contemplating a potentially bleak outcome, is Tong Zou, who returned to Canada from California last year and wanted to avoid transfer fees on his savings. He used his $560,000 to buy Bitcoin in the US, transferred it to QuadrigaCX and then sold it for Canadian dollars. He expected the funds to be transferred to his Canadian bank account. Four months later, he’s still waiting. "It’s all my savings, so I’m just living on what little I have left and trying to start over," Zou told Bloomberg. “It pretty much took everything away from me." He added that he believes he is one of the largest affected individuals and told Bloomberg that he was planning to buy a home in Vancouver with his some of his savings but is now living in an Airbnb. Despite the huge potential loss, Zou remains philosophical: "I just got caught up in this at the wrong time, I guess." Ontario Securities Commission has told Reuters that it is looking into the matter due to “the potential harm to Ontario investors.” The regulator says that it is in contact with the court-appointed monitor Ernst & Young, although it has not confirmed it as an investigation. Meanwhile, a Global News report says that experts have not found evidence of the millions of dollars of digital coins that Quadriga says are in offline cold-storage wallets. “All the analysis done so far has turned up no sign of the cold wallets they’ve been talking about,” Max Galka, co-founder and CEO of analytics firm Elementus told Global News. While QuadrigaCX investors face uncertainty, for the broader cryptos sector there has been some positive movement in recent days. 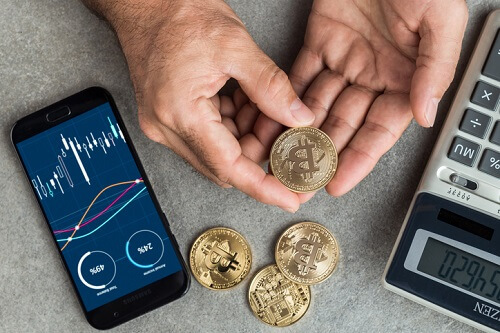 Bitcoin, Ethereum, and Litecoin are among the digital coins that have shown improvement and the founder and CEO of global financial advisory firm deVere Group says Bitcoin could be about to snap the bearish sentiment surrounding it. On Friday, the world’s largest and original digital currency jumped around 10% within 24 hours, pushing past $3,700 for the first time in three weeks. Green believes that there are three likely drivers of Friday’s jump.